Manufacturer of a wide range of products which include marble jalaram bapa statue and marble jalaram bapa. 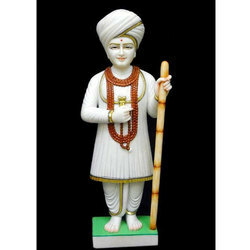 In order to cater to the diverse requirements of esteemed clients, we are able to offer superior range of Marble Jalaram Bapa Statue. The offered range is made utilizing premium grade raw material and innovative techniques in complete adherence with the international quality norms and standards. Along with this, the offered range is available in different customized designs and is tested on different characteristics to maintain its authenticity throughout the designing process. 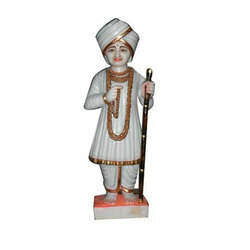 We are successfully ranked amongst the top manufacturers, exporters and suppliers of different kinds of Jalaram Statues. These are crafted using premium quality material, which is procured from our trustworthy and certified vendors.